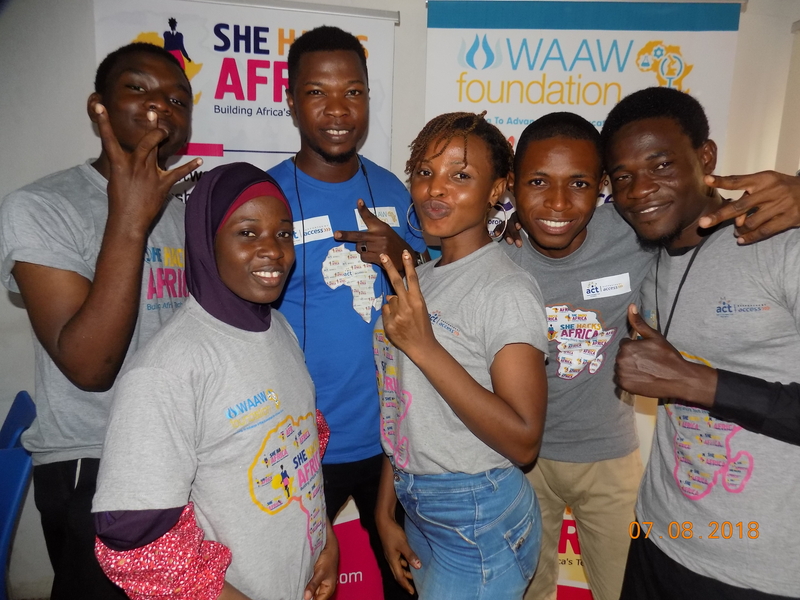 The She Hacks Africa, SHA is a 4-week intensive coding programme organized by the African Women Engineering and Leadership Entrepreneurship (AWELE) Academy. The aim of the programme is to introduce, encourage and train youths most especially girls, into the use of technology and how it can be benefited in the society. The SHA Cohort 7 commenced on Monday, September 3, 2018, with over 30 participants (men and women) in attendance. We had all 3 facilitators on ground to warmly welcome us to the programme, put us through the dos and don’ts of the training and also participants were divided into groups in order to ease participation uniformly. The introduction of facilitators and participants, brief introduction about WAAW Foundation SHA and Entrepreneurship facilitated by Tolulope Owajoba Adeyemo. The facilitator gave us an in-depth history about the programme, how it all started, the aims and objectives and how technology can be used to solve many societal problems with a business mindset. Introduction to WWW, Websites and How the Internet works facilitated by Funke Oyedun. Funke Oyedun worked us through the world of the web/internet and the underlying operations. She engaged the participants in a brief task whereby each team was to come up with a conceptual understanding of how the in internet works and act it out with the no-word concept. It was an interesting session as several groups came up with their own concept of the understanding of how the internet works. Introduction to HTML(Hypertext Markup Language), a language for structuring the web page which displays some contents known as markup language written by a developer. It uses html tags which displays but not limited to a webpage font, images, hyperlinks etc. – Facilitated by Sidney Willson. Introduction to Customer Discovery & Design Thinking facilitated by Tolulope Owajoba Adeyemo & Funke Oyedun. This session helps participants understood the power of design and underlying processes required before a design is put in place. The act of thinking before designing encourages an individual to be innovative and creative and also reduce costs with the case study of the Play Pump in South Africa. The processes/phases required before a design is to be carried out include Discovery-Define-Ideation-Prototype-Implement-Evaluate. The session was an interactive one as each group came up with a prototype of a problem that can be solved with the use of technology in Nigeria while thinking with a business mindset. Wednesday session continued with Introduction to CSS facilitated by Funke Oyedun. CSS means Cascading Style Sheet. A web tool use for the presentation or layout of a webpage. The participants understood the difference between HTML and CSS, CSS as a styling sheet and not a programming language and the three (3) types of CSS. Funke made the class an interractive one in order to ensure a proper understanding of the course by the participants. The day’s training ended with an assignment on the use of different styles on html tags used for the webpage previously built by each participant. Thursday session continued with use of CSS. More CSS properties were introduced and explained with the use of examples. It was a bit tasking for the newbies who had no experience on CSS. But at the end of the day everyone smiled with the joy of the knowledge been imparted.